Life often throws curveballs at us when we are not looking. Freak accidents or severe illness, family bereavements, house or office fires, urgent car repairs and the like can throw your finances into a tailspin. 1 in 5 Australians have no savings on which to fall back. Those that do frequently do not have enough to see them through a crisis. In such cases, rather than fall into the trap of payday or other predatory lenders, look for community or not-for-profit bodies offering small, fast cash loans with low fees and charges. These loans can be simple to obtain if you qualify and usually have flexible repayment terms that can help you out during a difficult time. Advertisers and influencers are always tempting us to buy the latest and greatest whatever it is that they’re selling. We often fall for these marketing ploys, and end up spending far more than necessary on things we don’t need. 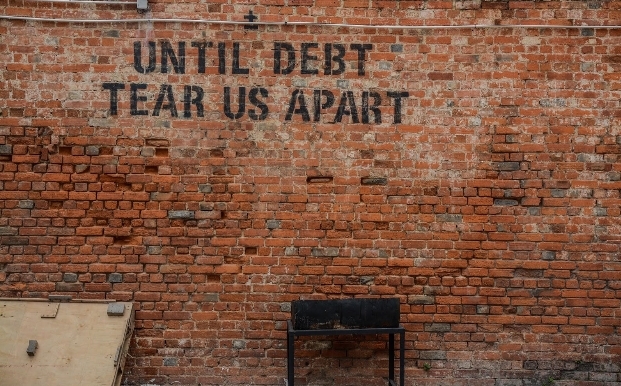 Extravagant purchases usually put a dent in our income, pushing us deeper into the debt pit. As we inch closer to a completely cashless society, it has become even more challenging to keep track of our expenditures on a daily basis. Therefore, it is essential to think about mindful spending. Make a habit of taking some time every week to go over your bank account to track your expenses. For the digitally minded, perhaps try a spending tracker app. Either way, keeping close tabs on where your money is going will help you discover ways to tighten your belt. Tackling our economic burdens is no easy job. The finance world is riddled with labyrinthine terms and policies with tricky undertones. If you’re feeling overwhelmed and unable to deal with finances on your own, seeking professional financial help can be beneficial. There are numerous banks and independent financial consultants that are knowledgeable enough to help you handle your money troubles. When your day job is not providing enough income to cover your debts as well as your expenses, it may be time to consider an additional revenue source. The internet age has opened up the door to a multitude of ways that people can earn extra cash in their own time. Sure, it may take some hard graft and eat into your leisure time, however, the additional income may be precisely what you need to put yourself back on a stable financial footing. It is very tempting to reach for your credit cards, but also essential to remember that you must pay the amount back with interest. Though they can help you rake in some reward points and improve your credit score, over-reliance on credit cards will push your balance into deficit. Therefore, an essential step on the road to debt recovery is using your credit card sparingly. If you prefer going cashless, then opt for a debit card as that will not allow you to spend indiscriminately. By making a few changes to the way you approach finances and by incorporating mindful spending, you will manage to overcome debts quickly.